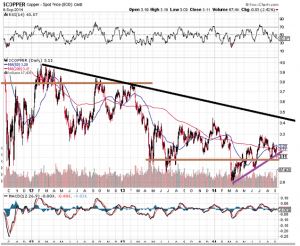 Is copper at a make or break point? lets look at the charts to see what is going on. We are not going to go into a detailed analysis here as the picture is relatively clear. The trend indicator is neutral. All this data suggests that if Copper does not hold above the level stated below, then the bottom could fall out. Copper dropped and tested its recent lows after trading as high as 320. As long as it does not close below 309, a double bottom formation will take hold. A double bottom formation is quite bullish and if it holds, copper should be in a position to test the 330 ranges and possibly trade as high as 340 before correcting. 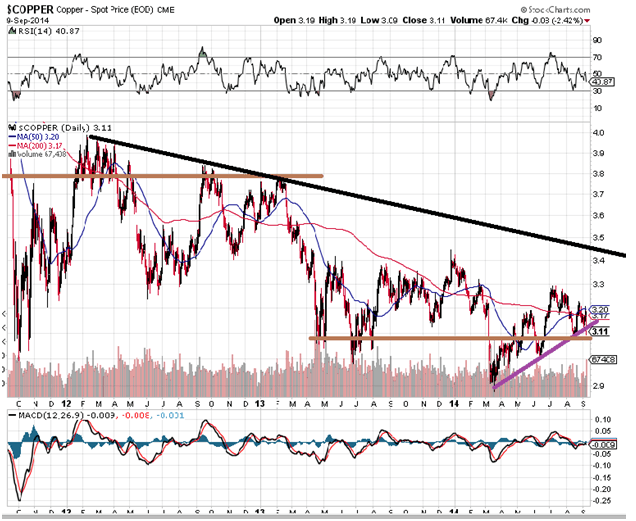 Is Copper at make or break point? If copper fails to hold above 309, then new lows are virtually guaranteed.